Matteo Salvini may be described as being too ambitious. He longs to become Italy’s prime minister and in the meantime is shaking up Brussels with his destabilising initiatives and proposals. It’s no secret that Matteo Salvini’s big dream is a pan-European far-right bloc. It’s also widely known that Salvini is yearning to become the absolute leader of such a movement that will be roaring in the next European Parliament. This is why Salvini, leader of Italy’s far-right party League, who is also the deputy prime minister and interior minister in his country’s coalition government, is hosting a meeting of the far-right parties in Milan. He expects to be crowned European leader by members of the Europe of Nations and Freedom (ENF) Group. However, what is not so well known is that not all members of the other parties agree with Salvini. According to the Italian media, League invited parties from more than 20 countries. It remains unknown who will attend. Salvini may be described as being too ambitious. He longs to become Italy’s prime minister and in the meantime is shaking up Brussels with his destabilising initiatives and proposals. It is uncertain whether the leaders of the other far-right parties in Europe have a positive view of Salvini. The relations between the parties inside the Europe of Nations and Freedom Group during the leadership of France’s Marine Le Pen were more equal. Le Pen, while the big name of the Group and a permanent pretender of the French presidency, shows respect to the other leaders. But Salvini does not do the same. He wants to make it very clear that he is the leader, and that he controls the far-right family in Europe. Last year, his style was at the core of a collision with Austria. More precisely the Austrian vice-Chancellor and leader of the far-right Freedom Party of Austria (FPÖ), Heinz-Christian Strache, provoked a mini Italo-Austrian diplomatic crisis. It was about the concession of Austrian citizenship to Italian citizens of the German-speaking minority living in the northern Italy. The fact was perceived by Salvini as a direct affront to his prestige. It is known that Le Pen will not attend the meeting in Milan. There is no news concerning the participation of Geert Wilders who heads the Party for Freedom (Pvv) in the Netherlands. It seems both parties will send a low number of representatives. Alternative for Germany (AfD) is also invited and according to the media will send a second-level representative. 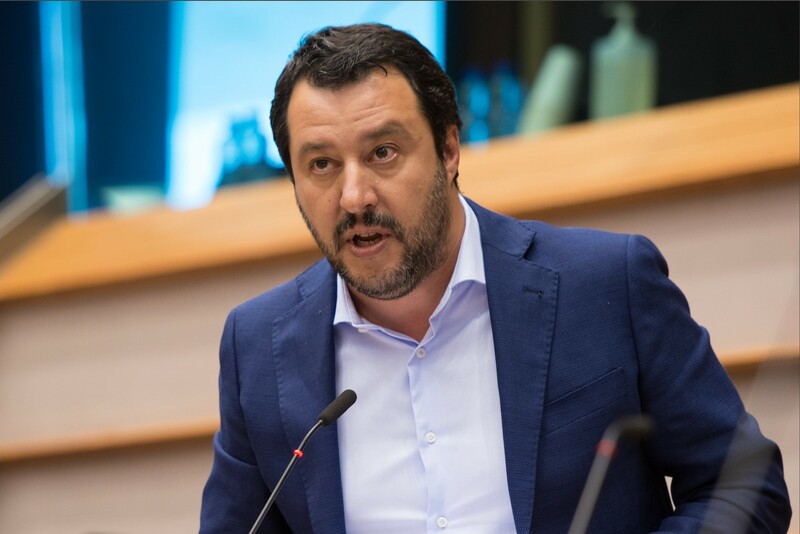 While the far-right parties in France, the Netherlands and Austria are concerned about Salvini’s ambitions they are open to remaining in the ENF. The Germans have avoided in the past to join the far-right group in the European Parliament and have found refuge into Nigel Farage’s Group the Europe of Freedom and Direct Democracy (EFDD) Group. If the big names stay away from Salvini’s meeting in Milan, who will attend? It seems the Italian leader is attracting the small far-right parties that will emerge in the upcoming European elections. The Czech Tomio Okamura leader of the Freedom and Direct Democracy (SPD) party will probably be present. His party will elect an MEP for the first time. Another party is The We Are Family (Sme Rodina) in Slovakia headed by Boris Kollár. The party is expected to win two seats in the European Parliament and join ENF. There will probably be representations from Bulgaria, Romania and Greece. The more unknown the parties and leaders, the better chances for Salvini to shine at the upcoming gathering in Milan. And what about Poles and Hungarians? Poland and Hungary represent an ambitious target for the Italian far-right leader. But the possibilities to attract the ruling parties, the Polish Law and Justice (PiS) and the Hungarian Fidesz to a parliamentary Group controlled by him are inexistent. First of all, the Polish side detests Salvini’s Russophilia. The Italian is too toxic for PiS. While it accepts far-right rhetoric, PiS is not a far-right party. The Poles are consciousness of their role among the traditional forces inside the EU and it seems impossible to follow Salvini’s big plans. For the Hungarians, the problem is different. Despite the fact that Victor Orbán called Salvini “his hero” he is not willing to abandon the safe harbour of EPP for a risky adventure as Salvini’s second man. Orbán and his entourage are under investigation for EU money fraud. In addition, the Hungarian PM wants to continue to count on EU coffers. While Orbán’s heart is with Salvini, his mind advises him to stay with the big and powerful. There is no doubt the far-right ENF will emerge stronger after the European elections next month. The group currently has 36 seats in the 751-member European parliament. It can double its number, but will not become a key factor in the daily work of the parliament. Other far-right parties in the European Parliament avoid any relation with ENF and prefer to hide in the “systemic” European Conservatives and Reformists (ECR) Group. This is why Salvini’s ambitions will remain a dream and, during the Milan gathering, the absence of Le Pen than the presence of Okamura will become more noticeable.